Recently I read two newspaper articles, one in Sinhala and the other English, both on what one may loosely call historical subjects. Both articles have adopted the same form, that of a narration of an interview. In the Sinhala article the writer reports on discussions with several persons on a political event that happened about twenty five years back (Mawbima-20 July).This is recent history, most of the characters spoken about are still among us. On 23 of July a main-stream English daily , the Mirror carried a full page exposition of the views of Dr.Mirando Obeysekera, apparently an authority on the mythical King Ravana.Like other such stories, the difference between fact and fiction in the Ravana saga is a matter for the reader. Different people view things differently. What one may consider plausible another may dismiss as childish drivel. In the treatment of the subject of history we observe vast differences from culture to culture. From one perspective, scholarship demands critical analysis, with every effort taken to approach the subject objectively, investigation preceding hypothesis. From another view, an emotional tone, where the telling is more important than cold facts, pleases ; with any conjecture used as support for a pre-conceived notion. And it is just as easy for a culture to delude itself on the scholastic merits of the latter approach. Is it history or mythology? Who is a hero and who is just a common bully? What is governance and what is abuse of power? Who is a leader and who is a mere adventurer? These are some of the questions that every society would have grappled with at some point or the other. But the answers will not be uniform. Different people look at things differently. And when it comes to taste and sensibilities, the range is wide in deed. 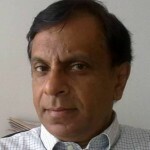 The article in the Sinhala newspaper narrates an event, with a political tone, that occurred about twenty five years ago. It stars the young Mahinda Rajapaksa in the days when the UNP was in power. The narrative is in the form of a recital by several political figures such as the former Chief Minister Amarasiri Dodangoda, present Minister Dallas Allahaperuma, Member of Parliament Mahinda Amaraweera and others, who for greater effect divide the narration between themselves. It is a story told much after the event, with the subsequent career of the protagonist very much in the minds of the narrators, now reduced to a client/ patron relationship. We do not have the resources nor the inclination to independently verify any of the matters referred to in the article. There is no need to labour the point that a complex event occurring in a highly charged situation is being narrated by one side. Nevertheless the story is not without certain insights, particularly as to the attitudes of power and their apparent indifference to the due process. Even in the highest places, the quality of our public life is not something to be proud of. If accepted as true, the story is that of a Governor and his political configuration attempting to deny the rightfully elected, a juvenile display of power to say the least. In societies where such happenings are common place, Historians who provide solace is perhaps more welcome than those looking for the truth. Apparently the then President Ranasinghe Premadasa under pressure from the opposition called for an election for the Southern Provincial Council. The election resulted in the ruling UNP winning 26 seats, the People’s Alliance 24 while the Lalith Front obtained 3. As the Lalith Front was opposed to President Premadasa, the opposition could muster a total of 27 in the Council. The UNP claimed that the opposition had no mandate and took the matter before court which however held that the opposition was indeed entitled to form the government. According to the narrators after the judgment was known Bakeer Markar the Governor of the Southern Province went missing, his whereabouts unknown. The absence of the Governor meant that the winning side could not take their oath of office which had to be done before him. Extensive inquiries revealed that Governor Markar was staying at an estate in Matale.So a number of them went all the way to Matale and confronted a surprised Governor. The Governor told them that it was inappropriate to administer the oath there in Matale and that he would be in his Bungalow in Galle the next Monday and the swearing-in could be done on that day. When the Monday dawned it appeared to the expectant provincial counselors that the Police had cordoned off the Galle Fort area so tightly that they would not be able to meet the Governor to be sworn in. The resulting delay would give the other-side the time to negotiate a cross over with persons from this side. In desperation they called Mahinda Rajapakse .Among others present were Mangala Samaraweera, Richard Pathirana and Mahinda Wijesekera. With Mahinda Rajapakse in the lead they arrived at the Galle Fort. There they were confronted by police and army officers led by an Assistant Superintendent of Police. The young MP informed the ASP that as a lawyer he was entitled to attend the court house inside the Fort, which request was brusquely rejected by the intransigent Police Officer. Mahinda Rajapakse was not to be denied. Pushing aside the ASP and then the barrier he charged towards the Governor’s office followed by the rest. The governor’s door was closed. A good kick on the door and the door flung open. In side were the Governor and his secretary cowering in fear.Mahinda Rajapakse declared in a loud voice that they came to be sworn in. The Governor Bakeer Markar protested that the swearing-in should take place in the hall down stairs and not in his office. Mahinda insisted that it should take place then and there. Realizing he had no choice but comply the Governor swore-in Amarasiri Dodangoda. The English article (Daily Mirror- 27 July) was an exposition on the mythical King Ravana by one Dr Mirando Obeysekera. 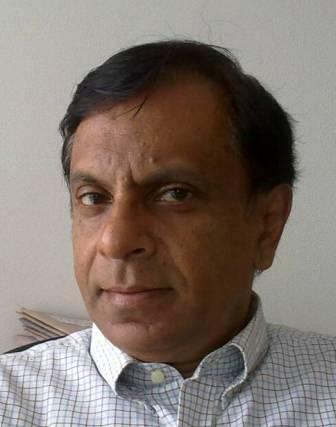 According to the writer of the article, Dr. Obeysekera had obtained an MA from the Columbia Pacific University and is credited with having authored 54 books. Here are some of the findings of the learned researcher into Sri Lankan history. Dr Obeysekera would not have meant a black man, quite a few of who make Argentina their home today, as his Argentine model. The picture that we conjure up is a likeness closer to a Spanish of the Latin American mode (Don’t cry for me Argentina…!) Although the disguise that could hide the identity of a man floating several inches above the ground is a hard one, we attribute that to our limited imagination. All our modern consciousness notwithstanding, these stories do give us a distinct pang. History may be all about becoming and receding, Sri Lanka’s anguish today only a transient phase. In the narratives, one cannot but discern the heroic tone of our leadership, good overcoming evil, an assurance of hope. Our leaders are larger than life; whether they ride on their golden chariots or whiz past us in their sleek convoys, the aura prevails. In them we behold boundless power, appropriately balanced with wisdom and compassion. Given the preoccupations and the orientations of the prevalent culture no amount of praise from a grateful flock will suffice. It is exhilarating to be a part of a continuous process where magic and reality are inter-changeable. In such a dispensation, the scope for divine drama is limitless.